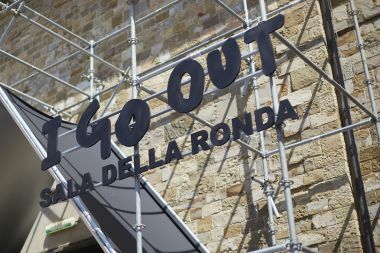 Agostino Poletto, general manager of Pitti Immagine, explains why the Milan-based womenswear trade show Super is changing its location and moving to the Zona Tortona area. In addition, the next edition will extend its run to four days from three. The fair will take place September 21-24, 2018. Why will Super move and exhibit in the Zona Tortona area? The next September edition of Super will take place at Padiglione Visconti, in Via Tortona 58, a unique space in Milan’s most fashion- and design-minded area. It is a strategic location in an area hosting a high concentration of important studios and showrooms where some of most prestigious fashion brands and companies are based. Then, also important, this space has some specific qualities: the location has a modern architecture signature that reflects the industrial identity of the city and that will help sharpen our show’s own identity thanks to new contemporary design decor solutions. The show will run one day longer than in the past. Why? Prolonging the show’s duration to four days will offer buyers, press and insiders the opportunity to have a more complete and in-depth vision of collections, brands’ novelties and special participants of this edition. It will be an additional service. We want to provide insiders an opportunity to get to know more about the newest trends in womenswear. Will the show’s concept also change? If so, how? We will remain absolutely faithful to the show’s format and its winning characteristics. It is a mix of very exclusive and researched selection of total-look and women’s accessory collections. Alongside renowned brands we will offer emerging designers, capsules and innovative product projects and also designers from new sceneries and protagonists of projects such as “Super Talents. New Countries to Watch” carried ahead in collaboration with Sara Maino of Vogue Italia. We are sure that the characteristics and potential of Padiglione Visconti will make even the “Super experience” even more focused. It will become richer with new product ideas and creative inputs aimed at satisfying sophisticated buyers’ requests. Do you aim to reach different insiders or attract a wider spectrum of visitors? Would you like to attract more foreign visitors? And if so, from which countries in particular? Super wants to attract Italian and international buyers who care about quality, highly contemporary womenswear: the most innovative multibrand boutiques and online retailers who need to complete their offer with brands and new products that they would not find anywhere else. Among our reference markets there is certainly Europe–including France, Germany, United Kingdom, Spain but also Russia and nearby markets that are now again important for Italian brands–but also buyers from Japan, Hong Kong and South Korea. What are the main evolutions womenswear is facing? 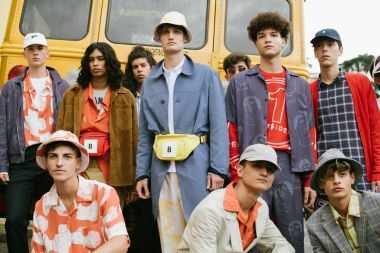 The market is experiencing a significant transformation phase as, for instance, the timing for presenting collections–both womens- and menswear–is always more anticipated. The first consequences of this change is impacting fashion week calendars. Also Milan Fashion Week is facing such an evolution: for this reason it is important to forecast, react and make the right decisions. These are the decisions we have taken for Super to, first of all, think of the needs of companies and international buyers. Will the show also feature jeans and sportswear brands? Super is focused on a selection of sophisticated and research brands, an accurate editing of the hottest women’s brands but not necessarily representing all styles or product types. But the show is meant to offer the most up-to-date wardrobe of the season. Therefore we will host strong identity and transversal womenswear brands such as 10X10 Anitaliantheory, A-Line, Alto Milano, Bagutta, Circolo 1901, Harris Wharf London, Ibeliv Ecofashion, Isole & Vulcani, Lanapo Cinque Terre, Manebi', Ma'ry'ya, Mii, Scaglione and White Sand just to name a few. Super will now take place just at a few steps from White. How will is distinguish itself? Or are you considering starting an alliance with it? 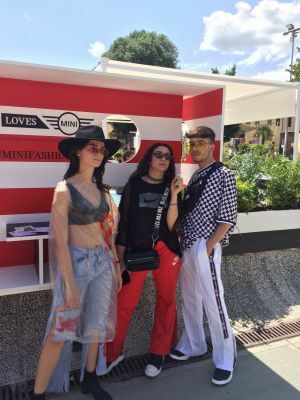 Considering trade shows, I think most the important thing for women’s fashion in Milan is building a system that can attract and bring the best foreign buyers together. We work for this objective and returning Super to the Zona Tortona area is a very useful move towards this aim.